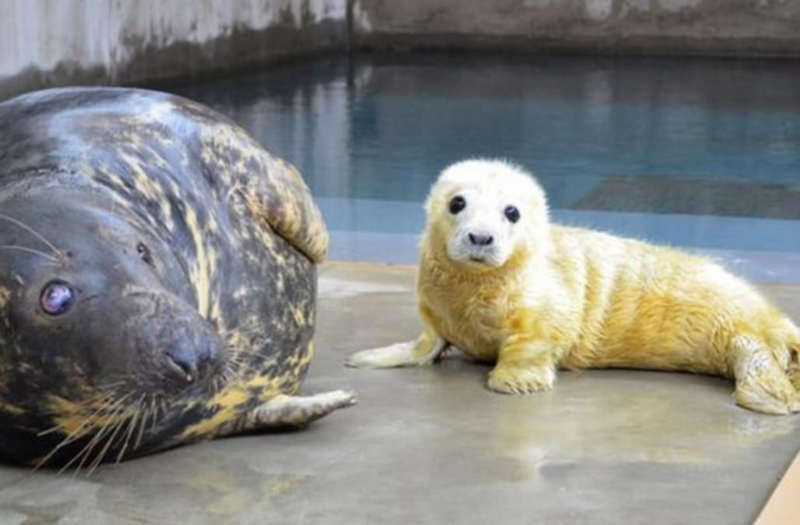 The Smithsonian's National Zoo is celebrating the arrival of an adorable gray seal pup. She was born on January 21 to 33-year-old Kara who is said to be "the oldest gray seal to give birth in a zoo," according to the zoo. The pup is said to be bonding nicely with Kara and moving well. Furthermore, it is also noted in a news release, "Around three weeks of age, the pup will wean and shed her white lanugo coat, revealing a gray and mottled pattern similar to that of the adults. Once she is weaned, keepers will slowly introduce the new pup to the other members of the colony." Given the early social media attention, she is bound to be a viral star.